When I hear the word Oklahoma I think of the musical and the song Oklahoma. Their state is as diverse as Texas. The east side is hilly, full of trees, and rivers. The west side is, well, is a desert. Flat, red dirt. Barren, but in an odd way pretty. Enough said about the terrain. I took a three day road trip with two of my daughters and three grandchildren. I say road trip because we usually fly. If you want to really know your children ride twelve hours in a suburban with them. Really, I laughed so hard on several occasions I could hardly see to drive. We reminisced of days gone by, gossiped, and just plain enjoyed each other’s company. Oh yes, did I mention we ate our way all along IH 35. 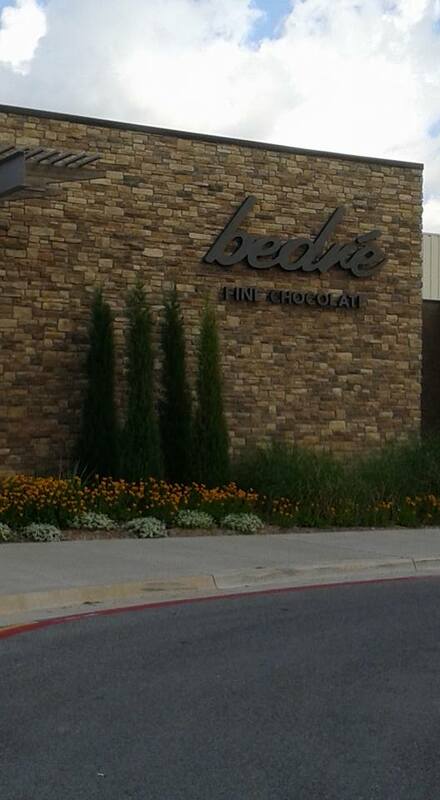 At exit 55 you can roam the Chickasaw Welcome Center where they have their own candy factory called Bedre. Free samples. Everyone loves chocolate, and free! They also have a wonderful information center located right beside the factory. Clean restrooms, that’s a plus too. Jellies, books, Indian jewelry, etc. 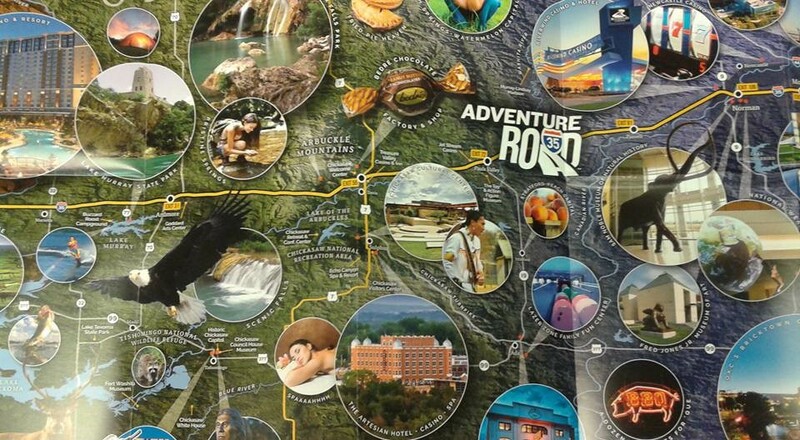 If you pick up the Adventure Road 35 map you will see all kinds of places to stop at. Check it out. Well the trip to Oklahoma was to take the granddaughter the t-shirts and book I bought on my trip to New England. It wasn’t until Oklahoma City that I received that brilliant flash in my brain. “I forgot to pack the t-shirts and book!” Wouldn’t you know. Oh, well, I mailed it to her as soon as I got home. 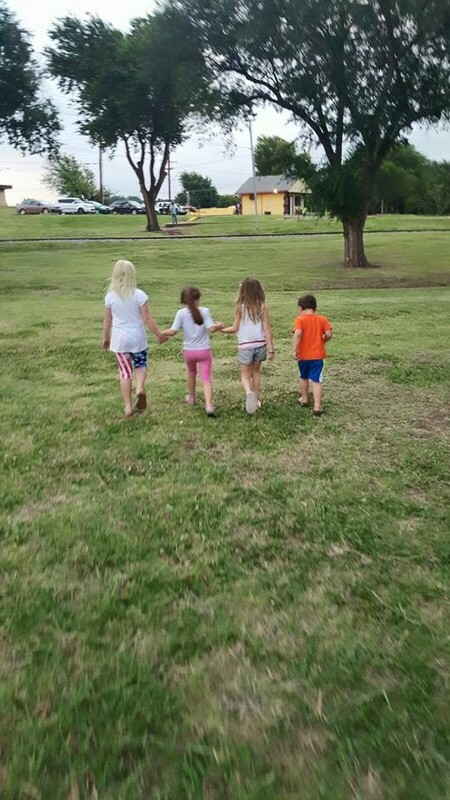 The grandchildren had a wonderful time playing with their cousins, and that was well worth the trip. Now to finish up a few things around the house, get some writing done, then I’m off to Pennsylvania. 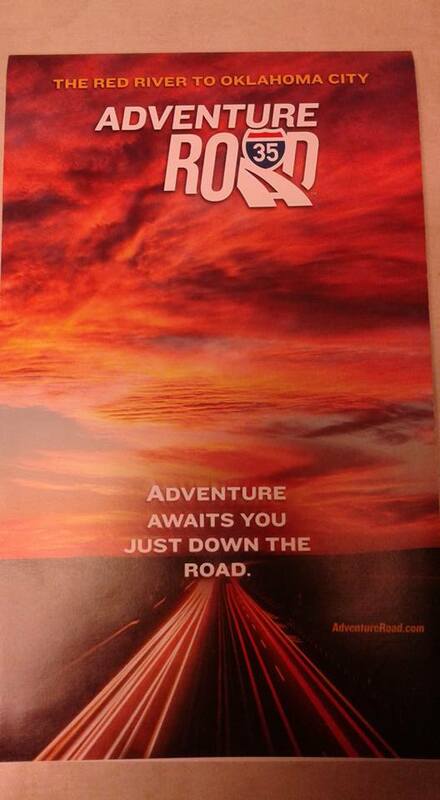 Hopefully going to take in Hershey and Philadelphia. Educational and fun at the same time.